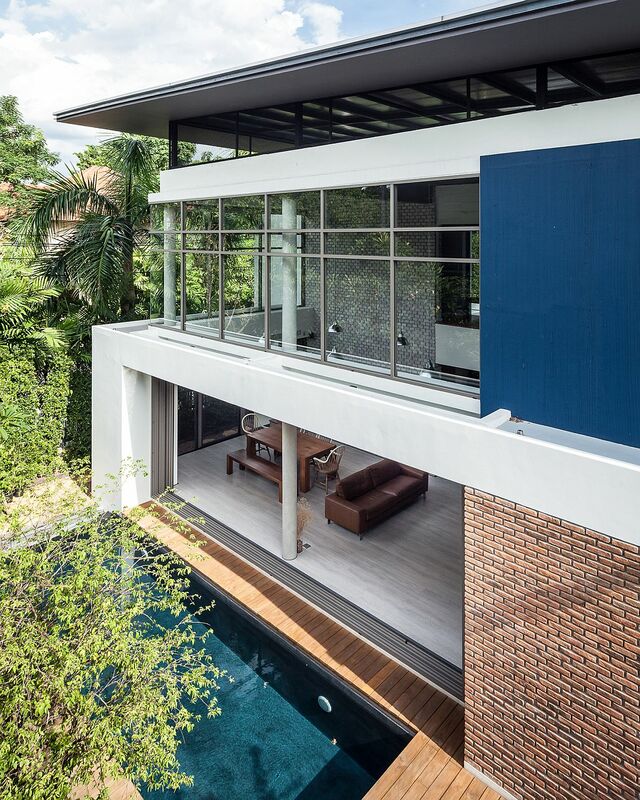 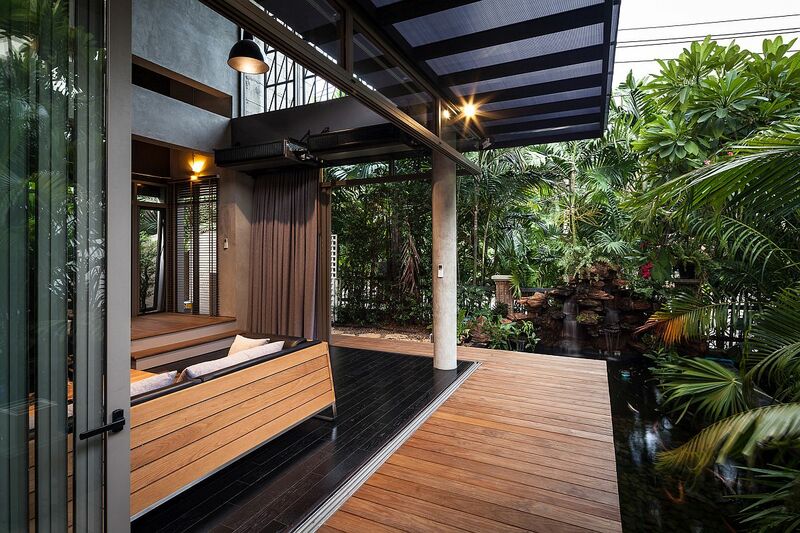 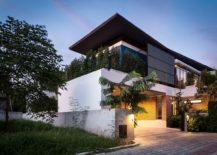 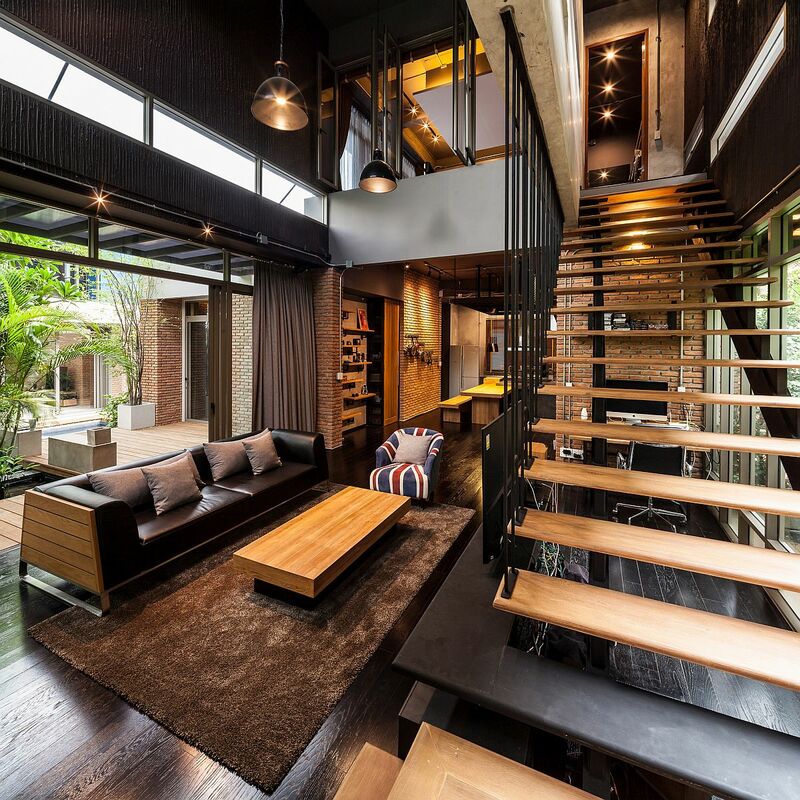 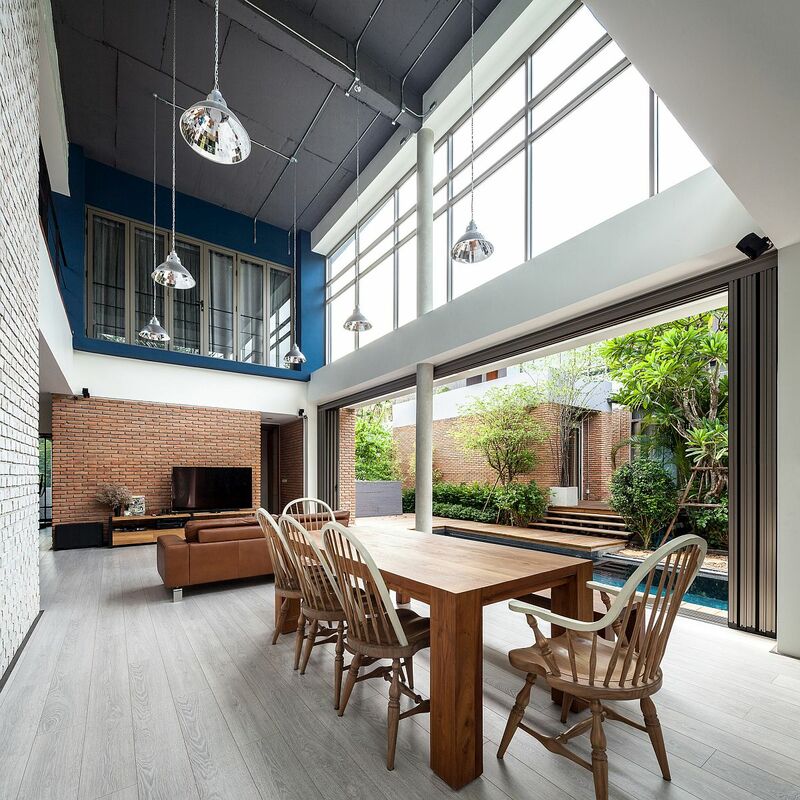 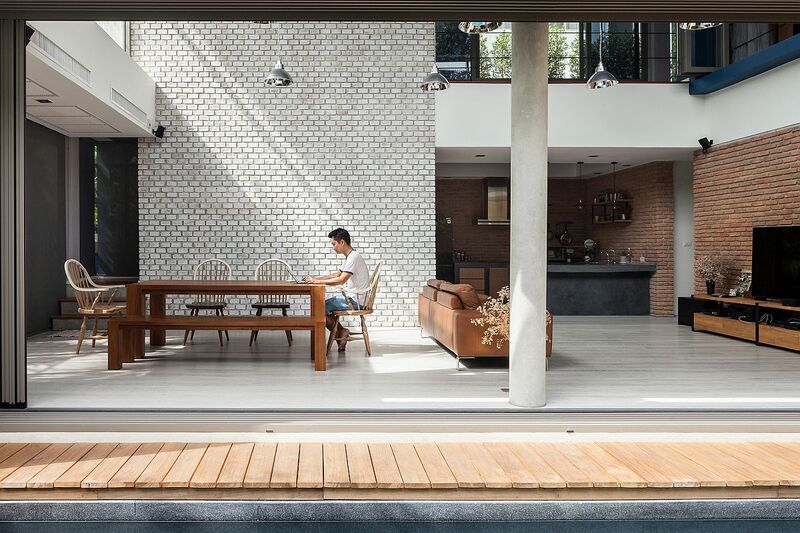 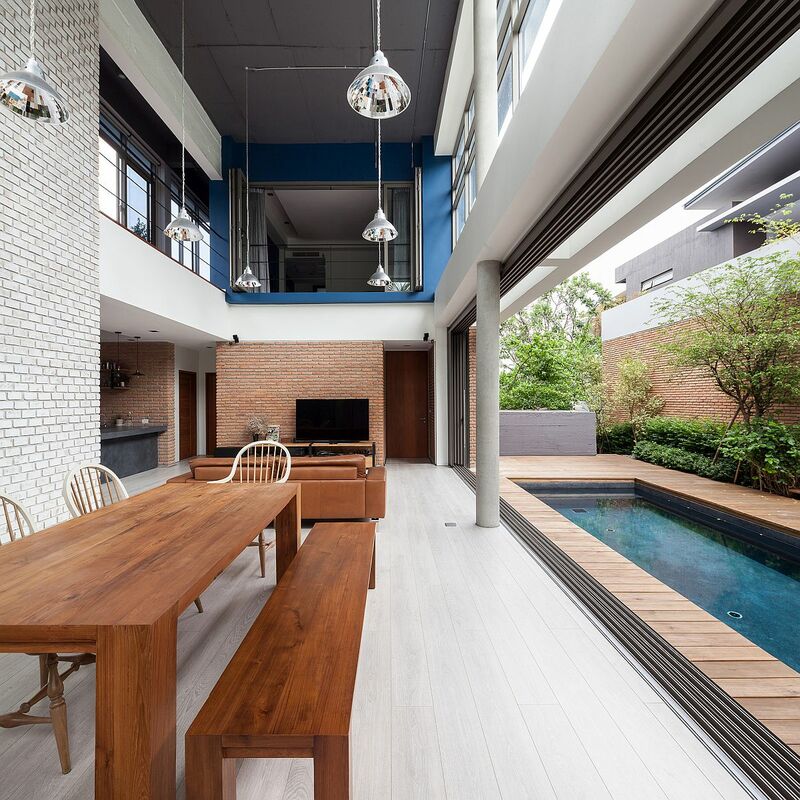 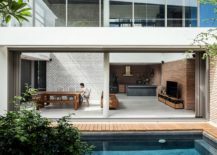 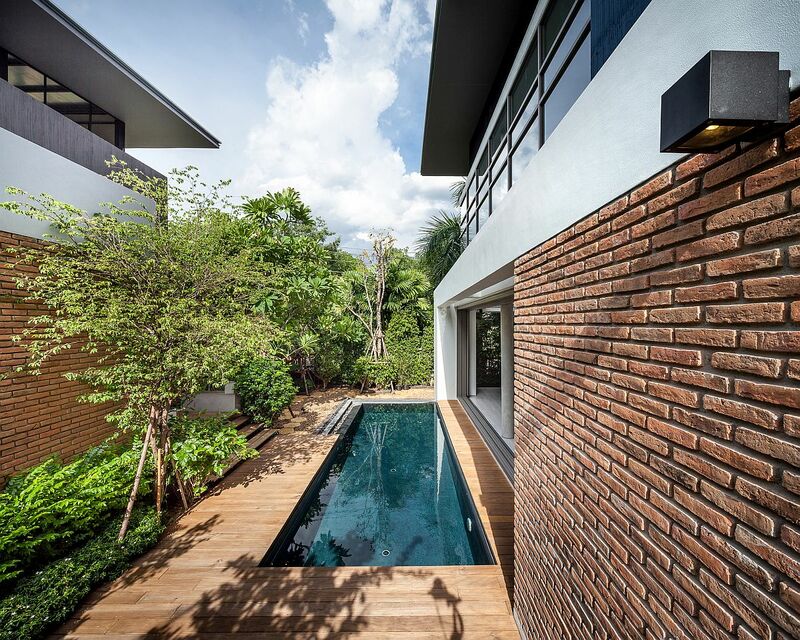 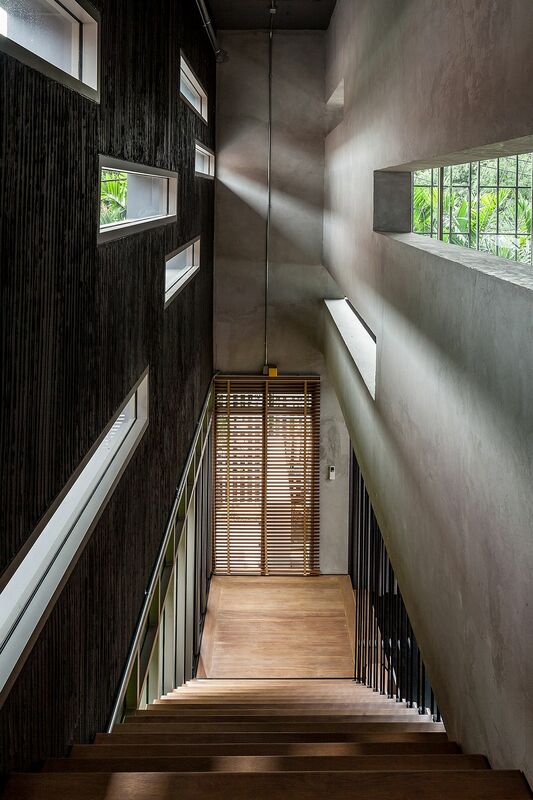 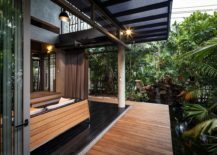 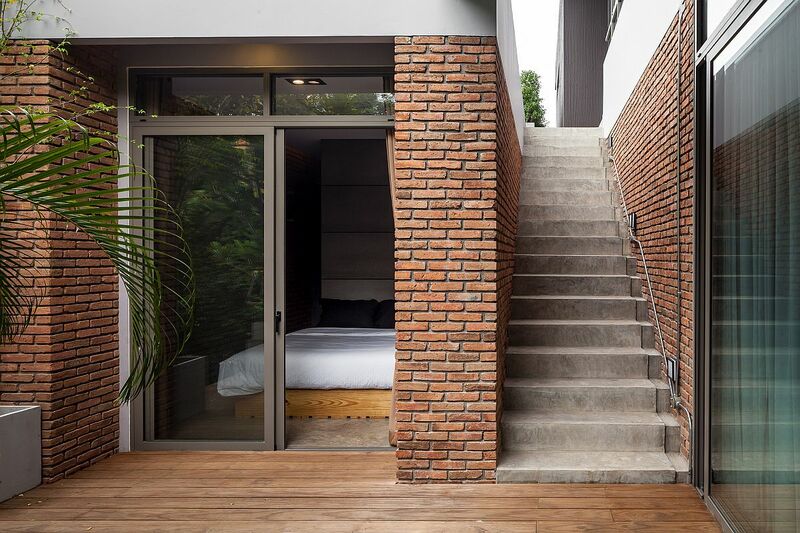 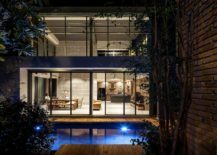 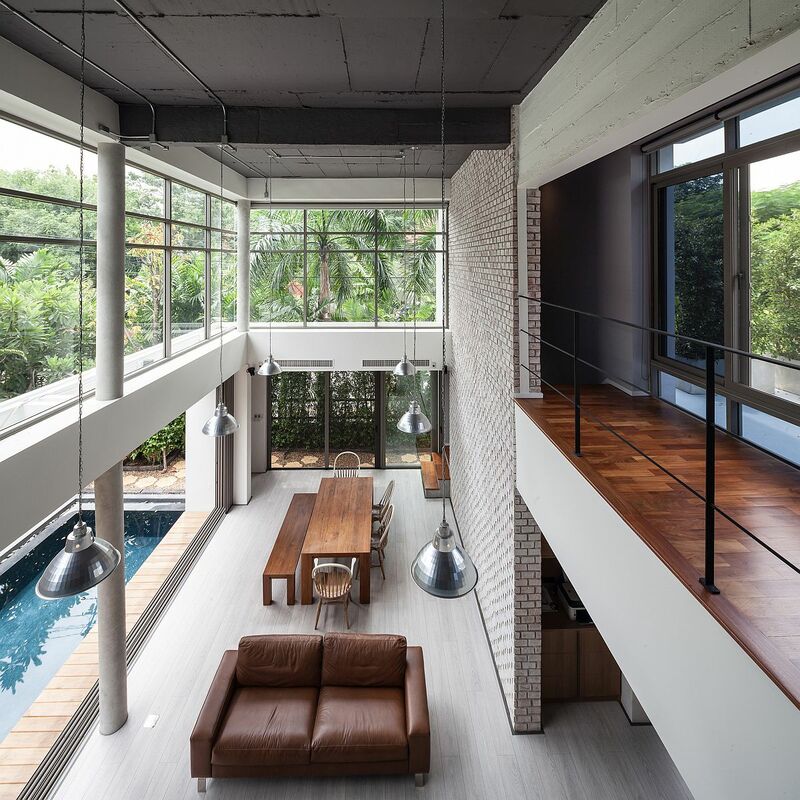 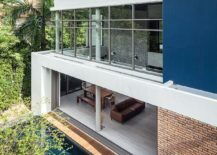 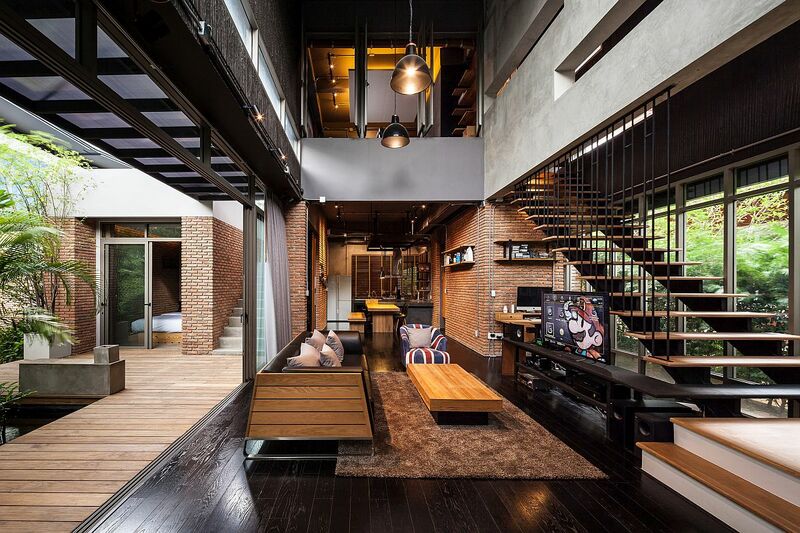 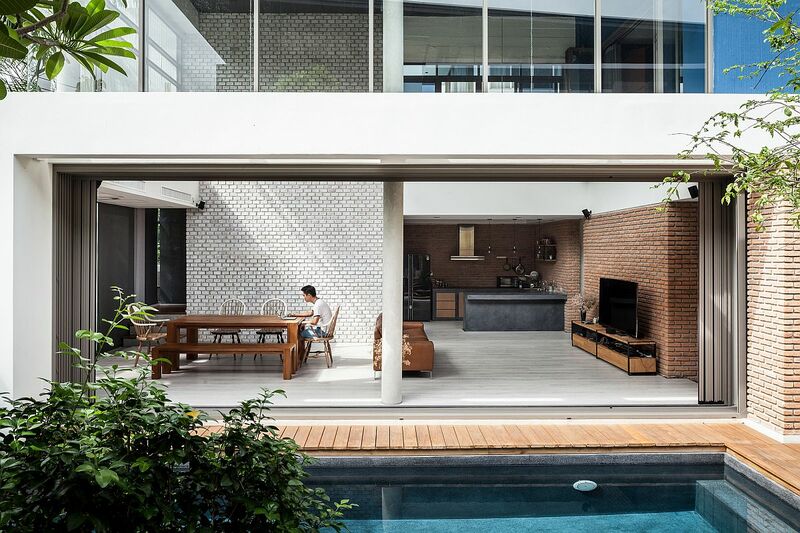 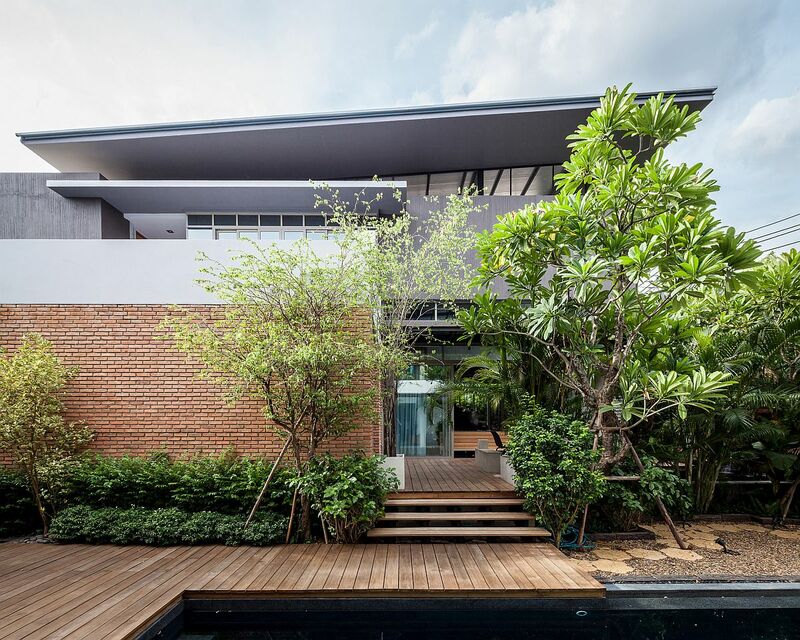 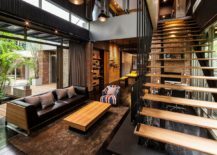 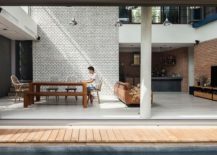 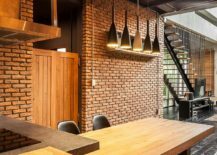 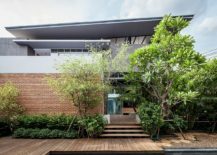 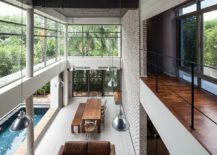 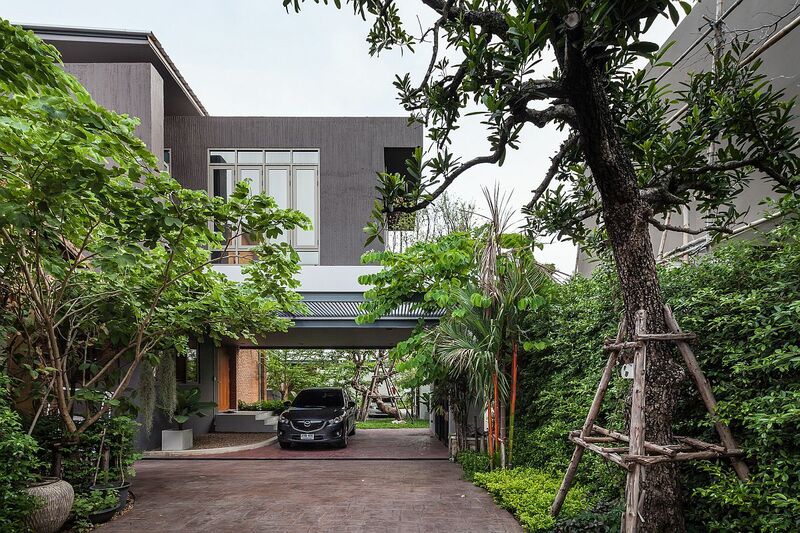 Contrasting synergy is what we see at the Two Houses at Nichada Village in Bangkok, Thailand, with these smart and stylish structures offering two completely different perspectives on interior design. 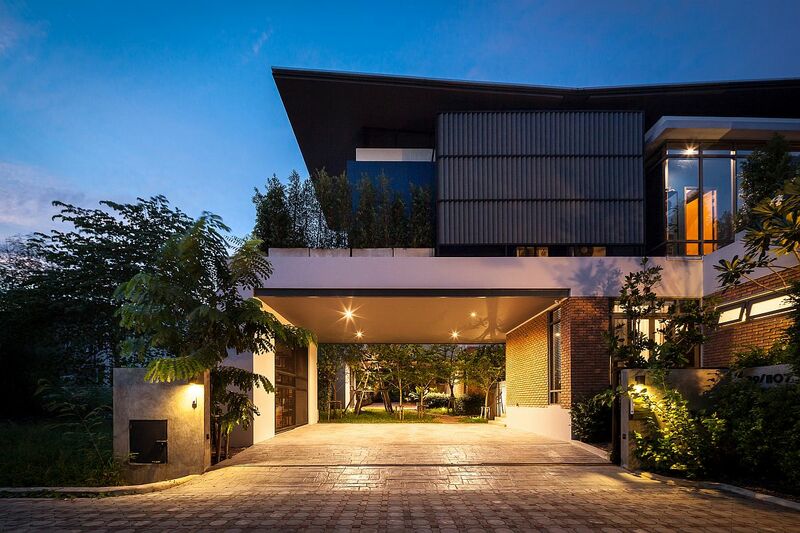 Crafted with care by Alkhemist Architects to meet the needs of two brothers who wanted to live close to one another, this interesting project showcases how one can fashion two strikingly different interiors in homes that sit next to one another, even while incorporating a common thread. 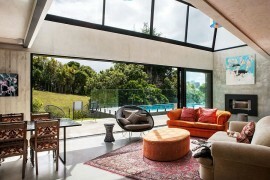 The two independent buildings are connected by a common patio and pool area, and the living area of one is visually connected with the other using sliding glass doors. 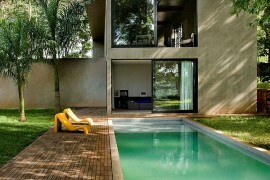 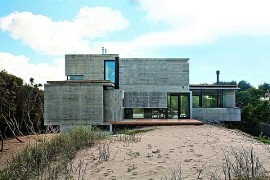 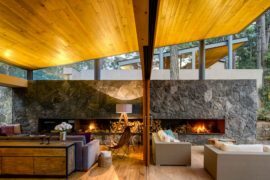 Even though both houses seem similar from the outside, they present an entirely different look as you step indoors. 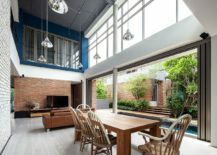 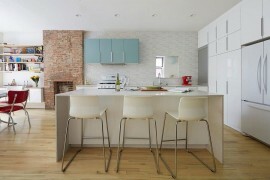 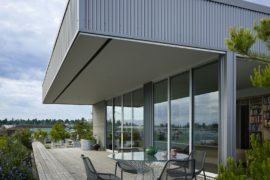 The residence of the elder brother features a cooler, more contemporary style, with white, gray and blue shaping the backdrop. 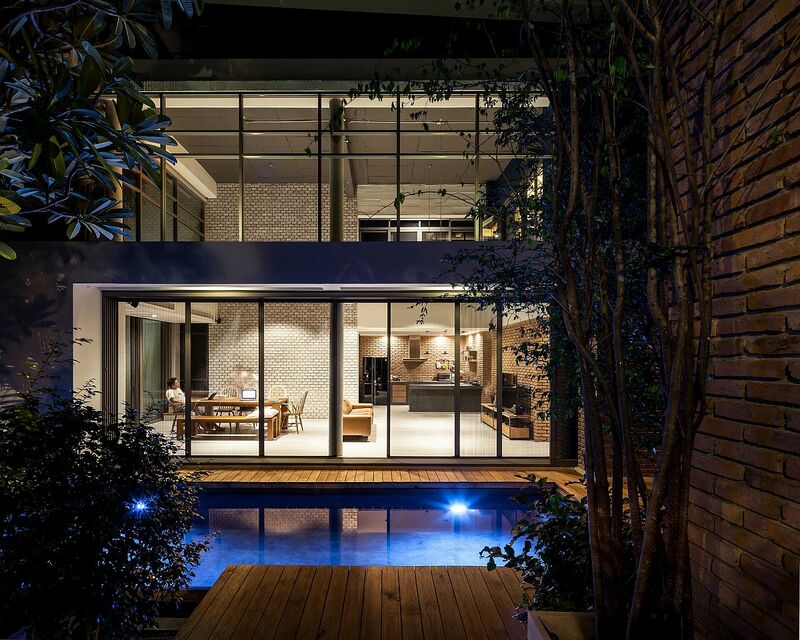 Reflecting the taste of a man who enjoys his outdoors and is a golfer by profession, this home has an open living area that flows into the pool zone, and the bedrooms on the top level also seem connected with the public spaces below. 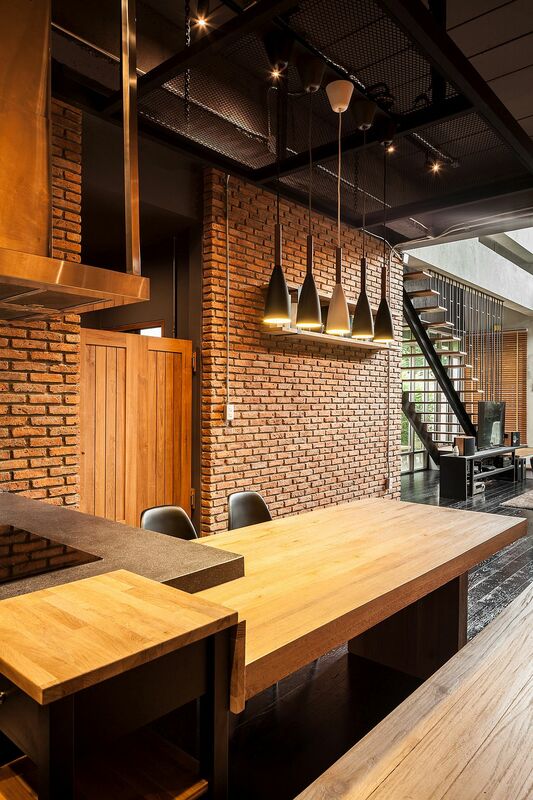 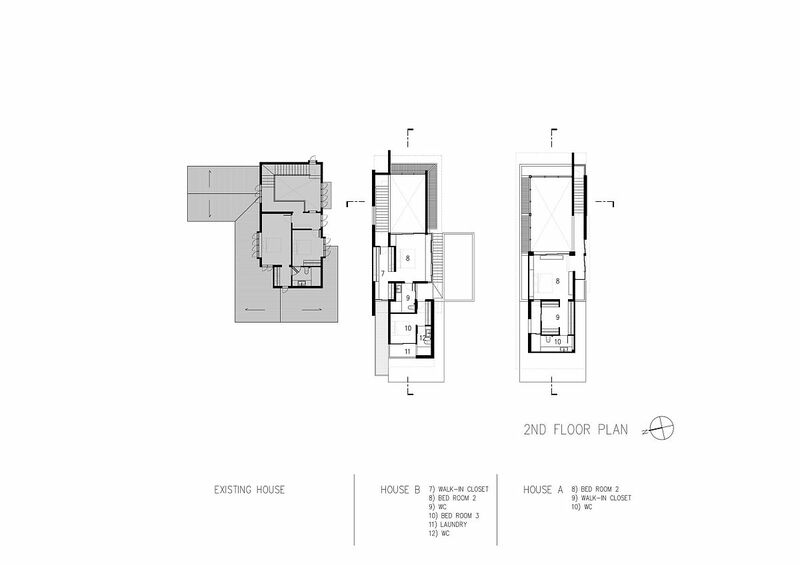 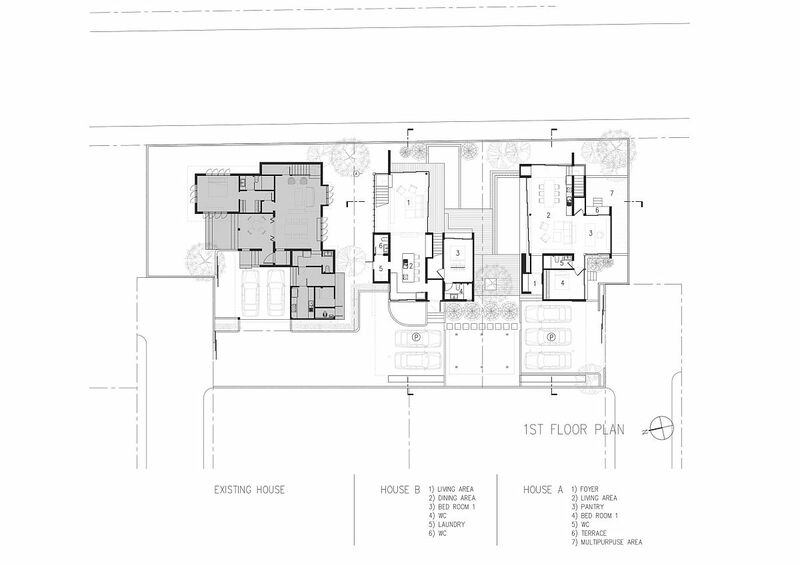 The second house of the younger brother has more or less the same floor plan, but the dark, industrial style of the residence provides a perfect retreat for this party-loving night club entrepreneur!